The Area Office of Emergency Service (OES) coordinates countywide preparedness, response and protection services and activities for large-scale incidents and disasters. OES is responsible for alerting and notifying appropriate agencies within the County's 20 cities when disaster strikes; coordinating all agencies that respond; ensuring resources are available and mobilized in times of disaster; developing plans and procedures in response to and recovery from disasters; and developing and providing preparedness materials for our residents. Alma Zamora is the Homeland Security Director. Christine Co joined the Sheriff's Office in March 2012 following a 15 year career working with the Millbrae Police Department. While at the Millbrae Police Department, Christine held a variety of jobs, including: Evidence and Property Manager, Dispatcher, Records Clerk, Court Liaison Officer and Crime Prevention Officer. She is trained in crime scene investigation, evidence collection, preservation and management and is one of the few people nationwide to be Internationally Certified. Christine initiated a Volunteer Program at the Millbrae Police Department to assist police personnel with administrative tasks, thereby freeing them to focus on prevention and enforcement duties. This success was followed by her expansion of the program to include Patrol Volunteers to provide additional “eyes and ears” in the community though residential, business and school district volunteer patrols. Since joining the Sheriff's team, Christine has expanded the Sheriff’s Volunteer Program by providing clerical assistance in numerous areas of the Sheriff’s jurisdiction and Patrol duties throughout San Mateo County. Sgt. Stephanie Josephson began her law enforcement career in 1999 as a Correctional Officer with San Mateo County before going to the police academy and becoming a Deputy Sheriff. As a Deputy, she was assigned to Patrol, Transportation/ Court Security, and Investigations. As a Detective, she worked at the San Francisco International Airport/ North County Investigations and then the Millbrae Police Bureau, handling a wide range of cases including coordinating operations for a Human Trafficking task force. After promoting to Sergeant, she was assigned as a supervisor in the Corrections division and worked on the final phase of the Jail Planning Bureau assisting in the opening of the new Maple Street Correctional Center. Sgt. Josephson is also a team leader of the Sheriff's Office Crisis Negotiation Unit, coordinating training and responding to incidents along with the SWAT team. Sgt. Josephson currently supervises the Countywide Building Security Unit. This assignment includes overseeing the physical security of over 100 county facilities, assisting with workplace violence investigations, teaching violent intruder classes to non-sworn County employees, and assisting with security needs at various special events. Daniel Bennett began his career with the San Mateo County Sheriff's Office in 1998 as a volunteer member of the OES Communications Team. In 2001, he joined the Sheriff's Search and Rescue Team and quickly moved up in the units becoming quite skilled in the field of Logistics and Emergency Communications. In 2003, Dan accepted the OES contract job to work with and track grant items that had been purchased by the County of San Mateo. In 2008, Dan was offered a full time position in the Emergency Services Bureau and has spent the past five years as a day-to-day contact for the 300 plus Sheriff's Volunteers as well as a Logistics Specialist for the Sheriff's Office. Among his many duties, he oversees four Mobile Command Post / Communications vehicles as well as numerous other response vehicles and trailers. Additionally, Dan is the Co-unit Liaison for the Sheriff's Communication Unit Volunteers, as well as an Associate Explorer Advisor for the two Sheriff's Explorer posts. Kathy Pape joined the Sheriff's Office of Emergency Services (OES) in 1999 and is presently responsible for the administration of the Homeland Security and Urban Area Security Initiative Grants and the Emergency Management Program Grant. The administration of the grants requires Kathy work closely with city and county departments, the City of San Francisco and other counties within the Bay Area. She also works directly with the California Office of Emergency Services' Grant Division and the Northern California Regional Intelligence Center for grant related items. She is responsible for purchasing, accounting and working with end users to ensure that both federal and state guidelines and regulations are followed. In addition to the grant administration, Kathy serves as the Clerk of the Board for the Emergency Services Council and is responsible for all administrative tasks. She also works on the Sheriff's budget related to grants and writes Board Memos and Resolutions for OES. Brian has been an Emergency Services Coordinator with the OES since 1999 and specializes in training and event planning. He is a trained Firefighter/EMT with both private and public sector emergency management experience. Brian's instructor experience spans almost 20 years, and his uniquely interactive presentations and teaching style is notably engaging, especially for those National Incident Management System and Standardized Emergency Management System classes and preparedness talks that can be detailed and seemingly overwhelming. He also offers community hazards preparedness and survival talks on a regular basis, emphasizing the importance of neighbor helping neighbor. Two of Brian's major response assignments include the 2007 Southern California Fires at the State/Federal Joint Field Office in Pasadena and the 2010 Glenview Fire/pipeline explosion in City of San Bruno's Emergency Operations Center. Prior to his career in the Sheriff's OES, Brian was the Disaster Preparedness Coordinator for the Federal Reserve Bank of San Francisco. Jeff has been an Emergency Services Coordinator with the Sheriff's Office of Emergency Services since 2004 and an active member of the San Mateo County Sheriff's Search and Rescue Team since 1978. Jeff brings a vast wealth of knowledge and experience in public safety and from the private sector. Prior to his career in the Sheriff's OES, he was an industrial manufacturing engineer for several high tech firms in the bay area. Jeff is primarily assigned to technology related projects due to his background. Jeff has a BS in Industrial Technology Engineering from San Jose State University and has attended both a firefighting academy and level II reserve police officer academy. Steve has been an Emergency Services Coordinator with the Sheriff's Office of Emergency Services since 2006. Steve brings a vast wealth of knowledge and experience in public safety and emergency management. Prior to his career in the Sheriff's OES, he was a firefighter with the U.S. Air Force Fire and Emergency Services for twenty years and then an Emergency Management Coordinator at Stanford University. He has been involved in disaster response and recovery ever since Hurricane Andrew in 1992. 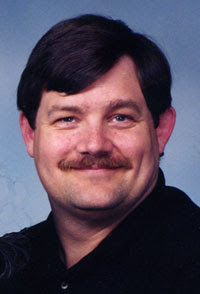 Steve has BS degree in Fire Administration from Cogswell Polytechnical College, in Sunnyvale, CA. He is also a Certified Emergency Manager (CEM®) with the International Association of Emergency Managers (IAEM) and certified by FEMA as a Master Exercise Practitioner (MEP). Chad is the new Coastside Coordinator for the Office of Emergency Services. Chad lives on the coast and is a medical service corps officer in the Army National Guard and former Army medic. Chad graduated from the University of Missouri-Kansas City with a Bachelor’s degree in Chemistry and Psychology. He is currently working on a Masters of Professional Studies in Homeland Security and Public Health Preparedness from Pennsylvania State University. He has been in the U.S. Military for 21 years. He served overseas for 2 campaigns in Iraq, supporting Operation Iraqi Freedom and served recently in the Middle East in support of Operation Enduring Freedom. Over the last 5 years he has worked in Emergency Rooms in an around the Detroit Michigan area. George Berry (KC6ULT) served with the San Mateo County Sheriff's OES first as a volunteer then in the late 80's joined the ranks as a District Administrator under OES Director Kent Paxton and left OES in 2001. No amount of superlatives could describe George's dedication to the community and his unique work ethic. George specialized in CERT/NERT, teaching SEMS law to all city and county employees; and offered communications training and large event planning that often dealt with presidential and heads of state visits to the County. George also volunteered with the FEMA Urban Search and Rescue California Task Force 3 and went to quite a few "big shows" as he called them as Communications Unit Leader (COMML.) George proudly deployed to every incident except 1998 El Nino, as he was the San Mateo County OES Duty Officer that week. He also served as COMML for the annual wildfire training in the County.